Following years of tireless advocacy work by AAPI advocacy groups, California has signed a critical data disaggregation bill into law. AB1726 (also called “The AHEAD Act”) was introduced before the California Legislature early this year by bill author Assemblyman Rob Bonta. Recognizing that most state and federal data generally lump all members of the nearly 50 ethnic groups that comprise the AAPI community into a single monolithic category or disaggregate by only a handful of ethnic identifiers, the bill called for the expanded disaggregation of state public health and higher education data to include at least ten more ethnic categories for AAPIs. Those new ethnic options — which include checkboxes for those who identify as Bangladeshi, Hmong, Indonesian, Malaysian, Pakistani, Sri Lankan, Taiwanese, Thai, Fijian and Tongan — were consistent with what is currently available via the National Census. Meanwhile, the lack of disaggregated data renders invisible several achievement disparities — including increased incidence of certain treatable diseases and/or reduced education access — that disproportionately impact certain AAPI ethnic groups over others. Without the capacity to draw awareness to those inequities, no culturally- or linguistically-specific resources are devoted to addressing them. 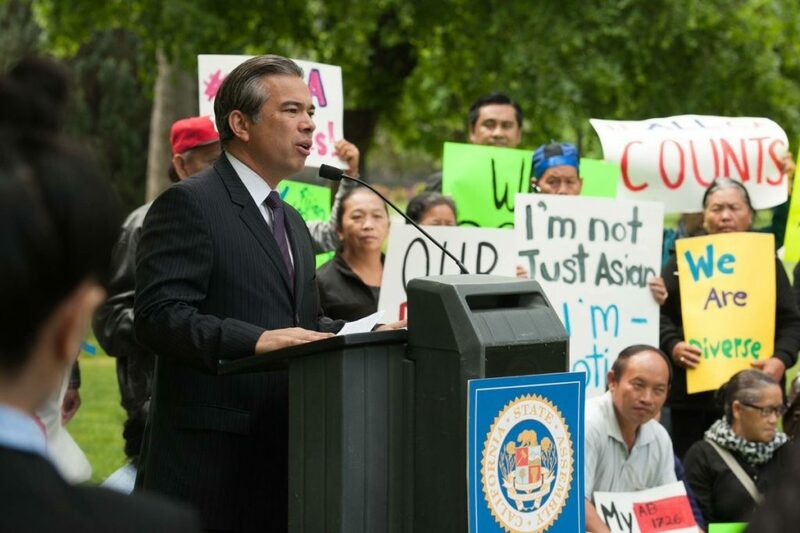 The AHEAD Act was designed to take the first step towards helping the thousands of Asian American and Pacific Islander Californians who are currently underserved by state and federal services. If knowledge is power, then accurate data is the foundation of empowerment. We live in a world that is completely data driven—good data is crucial for doctors to make accurate diagnoses, for teachers to know what’s working in a classroom, for epidemiologists to stop global pandemics, and for policymakers to design effective solutions. As an Institutional Researcher in the California Community College (CCC) system, I know that the lack of disaggregated data is a major barrier to strengthening the evidence-based practices for promoting access and equity in higher education. California Community Colleges are the quintessential “open access” college system serving the most diverse population in the nation. CCC’s are the gateway to higher education for nearly 2.6 million students annually within the 112 college campus and 71 off-campus centers. As researchers in the CCC system, we are tasked with identifying achievement and access gaps within our diverse student body, but the overly broad aggregate racial and ethnic categories that are currently used continue to mask dramatic disparities across ethnic sub-communities making them invisible to us. I also know this as a second-generation Laotian American and a California native who entered higher education through the community college system. Southeast Asian Americans, like my family, entered this country as refugees of war or genocide and have struggled with much lower than average incomes, English proficiency levels, and educational attainment. The community college system can be a gateway for Southeast Asian Americans and other low-income communities of color into both higher education and high-skilled jobs. But if researchers and policymakers are not able to “see” our community’s students, then they will not know how to adequately support them. We must ask: Are higher education institutions using the best methodologies to properly measure equity and identify achievement gaps within our diverse student populations? In California, a battle over data disaggregation has reached a fevered pitch. Earlier this year, Asian American and Pacific Islander (AAPI) advocates worked tirelessly in conjunction with state legislators to draft and advance Assembly Bill 1726 (AB1726, nicknamed “The AHEAD Act”), which would disaggregate healthcare and higher education data pertaining to the AAPI community using the same guidelines as the federal Census Bureau. AB1726 is the second effort to pass such a law in the state of California; Governor Jerry Brown vetoed an earlier data disaggregation bill passed with near unanimous support in 2015. In April, I wrote about why we need data disaggregation. I noted the broad diversity of the AAPI community that creates vastly unequal access to services such as education and healthcare for many specific AAPI ethnic groups. Yet, those ethnicity-specific inequities are often lost by state and federal data collection systems that treat AAPIs as an ethnically homogenous group. That invisibility, in turn, protects and preserves structural injustices faced by many AAPIs. Data disaggregation is not just an important issue; it is one of the core civil rights issues facing AAPIs today. As far as I’m concerned, it’s a “no brainer” for AAPI advocates to support data disaggregation. Previous efforts to disaggregate AAPI demographic data — including, most notably, successful efforts to disaggregate Native Hawaiians and Pacific Islanders in Census data as a separate racial category — have yielded a plethora of valuable data concerning these communities. Activists have subsequently mobilized to develop programs specifically focused on the NH/PI community. 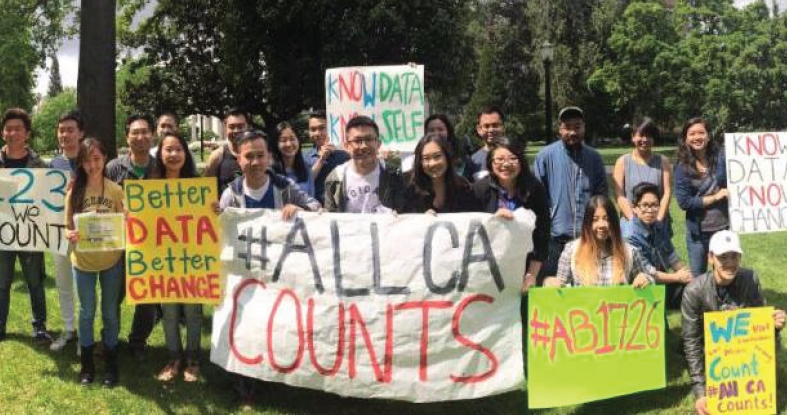 For a community long damaged by our invisibility, AAPI must agree: efforts to improve data collection around the AAPI community are a good thing. So, how can one possibly oppose The AHEAD Act?